This locomotive design is a perfect fit for freelancers who appreciate smaller power to serve their own HOn3 railroads. 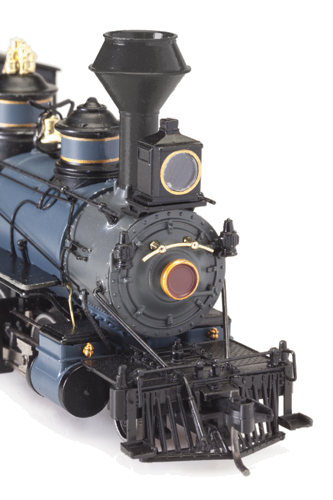 The configuration of these engines was very similar to other Baldwin consolidations seen around and after the turn of the century, therefore it will be easy to adapt the painted/unlettered versions to your favorite road, be it real or imagined. Painted, Unlettered "Diamond Stack" 2-8-0 Pre-Production Sample.